Find our Cheltenham Festival free bet guide here. It’s that time of the year again. The Cheltenham Festival is back, and it promises to be an exciting four-day event with some great racing and some intriguing storylines to boot. As you likely know, this is one of the most active betting periods for horse racing fans in the United Kingdom and throughout the world, so here is an overview of what you need to know about the upcoming action. But first, let us highlight the best free bet offers for Cheltenham 2016 – find out how you can receive up to £355 in free bets that you can use on Cheltenham! You can take advantage of all of these offers! 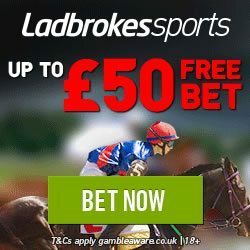 Sign up to Ladbrokes, place your first bet of £50 and receive a free bet worth £50 – which you can use on any of the Cheltenham races. Join William Hill, place your first bet of £25 and receive a free bet worth £25. Sign up to Betfred and place your first wager of £10, and Betfred will award you a £30 free bet. Read our complete review of the Betfred free bet promo here. Day one is often a favorite among punters because it features massive races with substantial betting opportunities, and this Champion Day will be no exception. It features seven races in all: the Supreme Novices’ Hurdle, Arkle Challenge Trophy, Festival Handicap Chase, Champion Hurdle, David Nicholson Mares’ Hurdle, National Hunt Steeple Chase and Centenary Novice Chase. The showcase race of the day is the Champion Hurdle, which takes place over two miles and doesn’t feature last year’s winner. The CHAPS Handicap Novices’ Chase is a great way to close out the day because only one favorite has won in the last decade. The highlight race of Ladies Day is of course the Queen Mother Champion Chase, which is one of the biggest races of the year and features the much-anticipated matchup of Dodging Bullets and Un De Sceaux. There are six other races that day: the Neptune Investment Hurdle, RSA Chase, Coral Cup, Cross Country Chase, Fred Winter Handicap Hurdle and Champion Bumper. The Fred Winter Hurdle is a race that probably doesn’t get enough attention. It is highly competitive, features a lot of talent and makes for a great spectator event. The main race of day three likely needs no introduction. It’s the Ladbrokes World Hurdle, which has really developed into one of the premier races of the Festival in recent years. As of this writing, defending champion Cole Harden is slated to return, but he’ll be put to the test by the extremely impressive Colin-Tizzard-trained Thisltecrack. The other six races that day are the JLT Novices Chase, Pertemps Final Handicap Hurdle, Ryanair Chase, Byrne Group Plate, Kim Muir Challenge Cup and Mares Novices’ Hurdle. 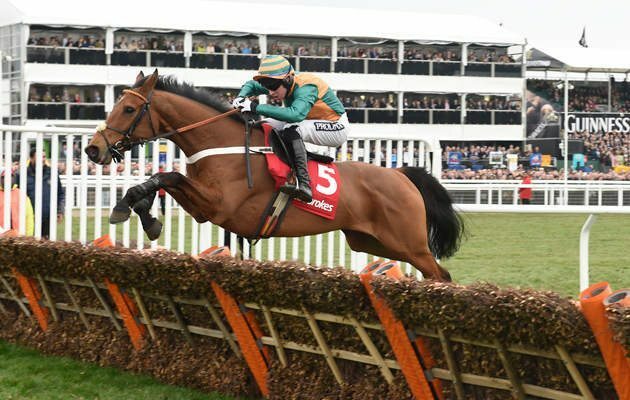 The final day of the Cheltenham Festival features seven races as well: the JCB Triumph Hurdle, County Handicap Hurdle, Albert Bartlett Novices’ Hurdle, Cheltenham Gold Cup, Foxhunter Steeple Chase, Conditional Jockeys’ Hurdle and Grand Annual Chase. The Cheltenham Gold Cup will no doubt draw the most attention, and one of the most exciting storylines of the entire festival is whether Lord Windermere will return to glory or Coneygree will repeat his 2015 success. The Triumph Hurdle is a great way to kick off the day because Aidan O’Brien doesn’t have many hurdlers these days, which makes Ivanovich Gorbatov all the more intriguing. The big story right now is that Faugheen won’t race in the Champion Hurdle. Annie Power became the immediate favorite, so that’s one to watch, but the real story here is Ruby Walsh and who he decides to ride. Whichever horse he chooses gets an immediate bump. A horse flying under the radar is Avellino, who’s racing in the Weatherbys Champion Bumper. His odds right now are 33-1, which are way too low and probably reflect casual betting, and that makes this a great option for an each-way bet. Two of our most anticipated matchups have already been mentioned: Dodging Bullets vs. Un De Sceaux and Cole Harden vs. Thisltecrack. Those are pairings that make you forget about your lost bets and make you remember why you love this sport so much. Another marquee matchup to watch is No More Heroes, a slight favorite, and More Of That, who are taking part in the RSA Chase. Another intriguing matchup is Barters Hill and Shantou Village, the two favorites of the Albert Bartlett Novices’ Hurdle, a race not often won by the favorites but usually by a horse in single digits, which only the two favorites are. The Supreme Novices’ sees a lot of action because it’s the first race of the Festival. It’s also very competitive. Favorites usually don’t win, so this is great spot for an each-way based on your gut. Another popular bet will be on the Jonjo-O’Neill-trained horses taking part in the National Hunt Steeple Chase. If there’s a parlay or other bet there that intrigues you, however, you’re better off waiting until closer to the event in order to get the best value for your money. Annie Power is a favourite that makes us cautious unless Walsh decides to ride. Even Power and Arctic Fire as a one-two doesn’t instill us with a lot of confidence. On the other hand, Annie Power in the David Nicholson Mares’ Hurdle seems like an easy pick. Another favorite that’s widely considered an easy pick is Alan-King-trained Yanworth in the Neptune Investment Novices’ Hurdle. Combining Yanworth and Yorkhill in a bet may be particularly attractive. A race to watch, and one that receives great attention from professional punters, is the Cross Country Chase. This chase is dominated by the favourites, and there’s only about five realistic options to choose from there. One of the most intriguing underdogs right now is Sempre Medici at 33-1 in the Stan James Champion Hurdle. This horse has what it takes to win it all, and if Walsh decides to ride him, he becomes an exciting option. It just might be worth a flier right now. The Grand Annual is also an interesting race because of how wide open it is. There may be no particular underdog that stands out, but just about all of the mid-tier underdogs have a legitimate shot at winning this one.